The best time to visit Montreal is during October when the temperatures are mild—not muggy like summer or brutally cold like during the winter—and fall foliage is at its peak. But almost any season in this historic Canadian city has its charms. Choosing the best time to visit Montreal involves weighing your travel needs and wants with your travel budget and then finding what's available. 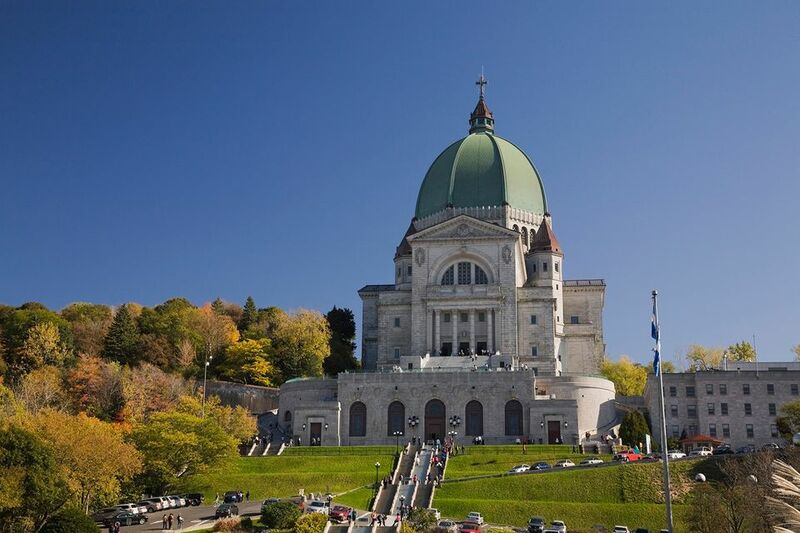 Read on for more about the best times to visit Montreal. Montreal temperatures get pretty steamy in summer: Think hot and humid. Temperatures in July and August typically average over 80 degrees Fahrenheit. Nevertheless, evenings and waterside locations can be cool. During the fall, temperatures drop considerably, but it's still warm enough to enjoy time outside. The average temperature in October is 48 degrees. The average high in October is 57 degrees, and the average low is 39 degrees. In the winter, the weather is harsh, with temperatures reaching sub-zero consistently. Pack your gloves and parka! Most of Montreal's. Snowfall occurs from December through March, averaging between 16 and 24 inches per month. Snowstorms can be sudden and intense and affect traffic and air travel. Spring is a welcome respite from winter in the city, as temperatures begin to creep into the 40s. Pack a rain jacket though, as sudden rain (and yes, even snow) storms are not uncommon. Many of Montreal's most popular events and festivals take place in the summer months when temperatures are more amenable to spending time outdoors. Among the most popular are the Montreal Jazz Festival, the Canadian Grand Prix, Mondial de la Bière, and the French music fest Les FrancoFolies. Additionally, Montreal celebrates the following holidays: New Year's Day (January 1), Family Day (the third Monday of Feb), Good Friday and Easter Monday (March or April), La fête Nationale, also known as Saint-Jean-Baptiste Day (June 24), Canada Day (July 1), Labour Day (the first Monday in September), Thanksgiving (the second Monday in October), Remembrance Day (November 11), Christmas Day (December 25), and Boxing Day (December 26). Summer by far sees the most visitors descending on this unique and historic city, which is best explored on foot. However, if you are not a fan of crowds or big festivals, you may prefer arriving outside of July and August. Of course, with popularity and demand come inflated prices and limited availability. Book Montreal hotels early for summer stays, especially for weekend dates and during festivals. Lots of visitors are reluctant to go to Montreal in the winter because of the cold, snow and ice. However, you can still pack a lot into a chilly Montreal vacation and enjoy its fine food, shopping, culture, not to mention outdoor activities, like ice skating, cross-country skiing, or Montreal winter festival. Montreal is colder and gets more snow than Toronto or New York City. If you're not from a northern country, the chill and snow of Toronto may be unlike anything you've experienced. Brace yourself but do not be afraid. Because the number of visitors drops off so sharply in winter, much of Old Montreal shuts down. Your reward for braving the brisk of Montreal? Hotel savings. Rates are cheaper in winter except over the Family Day weekend in February where demand increases. Igloofest's iconic subzero raves are must-visit in January. During Christmas, visit the city's iconic Christmas markets and ice skating rinks. Spring in Montreal can be dicey. Winter can linger into April, so it can remain quite cold. But for the most part, you can expect warmer weather, gardens turning green and a spring returning to Montrealers' steps. April is the last month to hit the city's surrounding ski slopes. Montreal really loves St. Patrick's Day and hosts a parade and other festivities in March each year. Peak travel to Montreal occurs between June and September, especially July and August, the months when most North American schools are out, and Old Montreal and the city festival schedule is in full swing. Summer weather in Montreal is warm and sunny and perfect for strolling the streets, and tens of thousands of people descend on Montreal to shake their stuff for these festivals and others. If you visit Montreal between June and September, you will have no shortage of open-air activities, public programming and neighborhood festivities—big and small scale—to spice up your Montreal stay. The Montreal Jazz Festival takes place each summer and is among the city's most popular events. Pride Montreal is a ten-day celebration of the city's LGBTQ+ each August. October—especially early October, but beware of the Thanksgiving holiday—is a beautiful time to visit Montreal: The fall colors are maybe at peak or just past, and the weather is cold, but conditions are not bleak or mucky. Some of the best places around the city to see the colorful leaves include: Mount Royal Park, the Montreal Botanical Garden, the Morgan Arboretum, the 400-acre Bois-de-Liesse Park, Parc Jean-Drapeau, Bois de l'Île Bizard, and Parc Angrignon. Old Montreal businesses are still open and comfortably meandering the cobblestone streets is still possible. Montreal Botanical Garden hosts its Gardens of Light, an annual event featuring Chinese lanterns and light displays, every October. November in Montreal marks the start of the holiday season, plus the city's most popular parade of the year, the Montreal Santa Claus Parade.